Los Angeles is a city of neighborhoods. But downtown is different. In the movies it is often a stand-in for Manhattan. With its dense grid of modern skyscrapers and historic brick and mortar, it is easy to see why. But compared with Manhattan, downtown Los Angles is a ghost town. 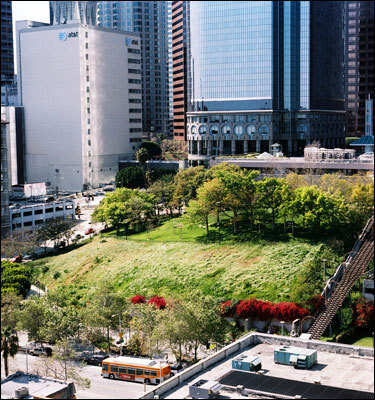 It was not always this way.At left, a view of Bunker Hill and Angel's Knoll including the Angels Flight, a funicular Railway built in 1901. It costs 25 cents for a one-way ride.